I offer proofreading services to postgraduate students studying for master’s or doctoral qualifications. To use my service, you must have permission from your university. you know (or have been told) that you often make mistakes with spelling and grammar. What does thesis and dissertation proofreading include? 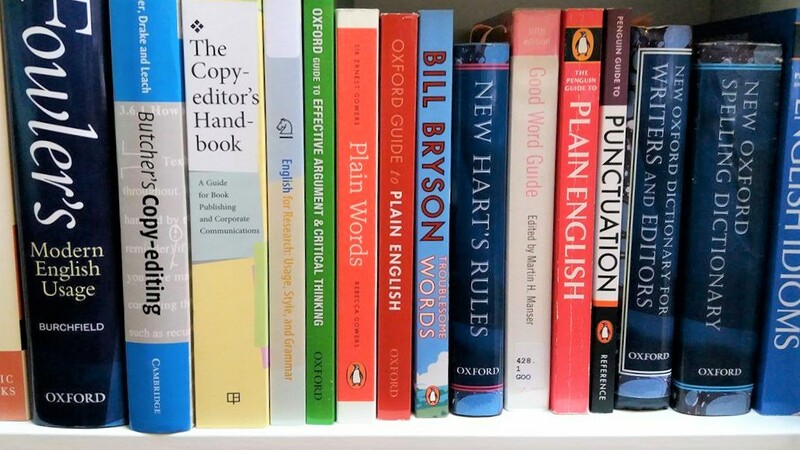 I’ll correct or highlight specific language points to help you improve and clarify your text. For example, I’ll correct spelling, grammar and punctuation and highlight text that isn’t clear. You can find a full list of the checks included in the terms and conditions. I use tracked changes in Word so you can see every amendment I’ve made and accept or reject it individually. If you haven’t used tracked changes, I can provide instructions for you. Because your academic work will be assessed, it must be considered to be your own work. Therefore, I do not make changes to the structure or content. For example, I do not add to or remove text, check the accuracy of quotes or statements, or format the document. For details of what is not covered, please read the terms and conditions. What subjects do you work on? I have proofread theses and dissertations for students of business studies, education, literature, fashion, graphic design, international relations, library and information management, linguistics, marketing, museum studies, nursing, peace studies, politics, project management and psychology. I offer a discounted rate for student proofreading. The exact price depends on the quality of your writing and how quickly you need me to return your work. If you’d like me to provide a fixed quote, please contact me with the number of words in your thesis or dissertation and a sample of your writing (before proofreading, of course!). If you already know your schedule, please also tell me when your work will be ready for proofreading and when you’d like me to return it to you. I am an Advanced Professional member of the Society for Editors and Proofreaders and keep to their Code of Practice. I have a degree in English, a Professional Certificate in Marketing and a Certificate in English Language Teaching to Adults (CELTA). For more information, visit ‘about me‘. Please read the terms and conditions for full details of what my proofreading service does and does not cover and how the process works. If you’d like to have your work proofread, please check with your supervisor first – although some universities encourage proofreading, others do not allow it or have very strict rules.